Dr Craig’s second argument is clearly related to his first. Indeed some of you might wonder – what’s the difference between the claim that a transcendent personal being explains the universe, and the claim that a transcendent personal being explains the origin of the universe. Well, I don’t think there’s much difference, but it does bring in temporal or time-related questions. Finiteness and infinity, eternality, beginnings and ends, and so forth. Dr Craig is obviously concerned to emphasize to us that the universe had an absolute beginning, as if that provides evidence for a transcendental personal being. He underlines that absolute beginning or origin by citing a 2003 paper by Borde, Guth and Vilenkin, which he claims proves, not only the absolute beginning of our universe, but of any multiverse our universe may have been part of. He further claims that a much more recent paper by Vilenkin concluded that all the evidence we have converges on the conclusion that the universe/multiverse did in fact have an absolute beginning. Now this is perhaps fairly abstruse stuff for the lay reader, and my reading up on this area reveals to me that these are live issues very much debated within cosmology, and in these debates there is nothing in the way of spillage into the metaphysical realms Dr Craig is so keen to leap into. Maybe cosmologists are just a timid and modest bunch, but they prefer to try to account for the mathematically calculable results of our inflationary universe through equations and formulae than to speculate about transcendent fatherly creators. There just seems to be no warrant, whether the universe is finally decided as finite in the past or not, for a non-evidence-based, non-material entity, somehow conscious, who created the universe with we humans front and centre of ‘his’ mind. That way, it seems to me, lies rampant anthropocentric egotism. So let’s look at the formal argument with which Dr Craig ends his second point. 1. The universe began to exist. 2. 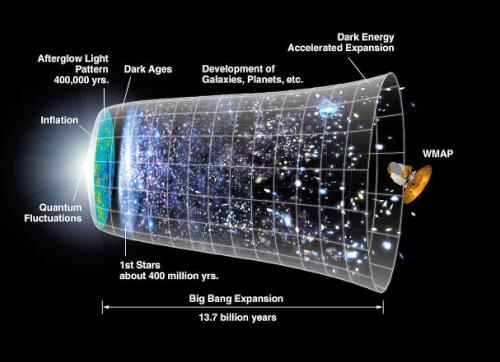 If the universe began to exist, then the universe has a transcendent cause. 3 Therefore, the universe has a transcendent cause. Again, the big problem is with the conditional in the second line. What is a ‘transcendent cause’? Certainly it isn’t anything that science can deal with. And science is just our best way of arriving at reliable knowledge about the world. Dr Craig often associates the term, ‘transcendent’ with ‘non-material’. But all causes that we know of are material. It makes little sense to talk about a non-material cause. And don’t think in terms of force or pressure, or energy waves or the like, because in scientific terms these are all quantifiable. material entities. Now you might think, ‘oh you’re just a narrow materialist’. Well, I don’t like labels, but if I had to accept one, I’d prefer to call myself a realist. In the search for reliable knowledge, we limit ourselves to material, quantifiable entities for very good reason. Because if we let in the so-called non-material, or the ‘transcendent’ or the ‘ineffable’, then we let in anything and everything that our imagination wills and that our heart desires. Why not a whole culture of billions of godlike creatures or minds working together to create the universe? Why not a female immortal, who created the universe by accident and has been indifferent to it ever since? Why not a giant cosmic computer created by the minds of a species far more advanced than ours, on a planet in a dimension not yet fathomed by our greatest minds? When you’re not limited by evidence, everything is possible, and that might be a good thing – it makes for great science fiction. But it doesn’t make faith in a traditional, male god, born in the deserts lands of the Caananite people a few thousand years ago, particularly reasonable to me. And so we move to the third argument.